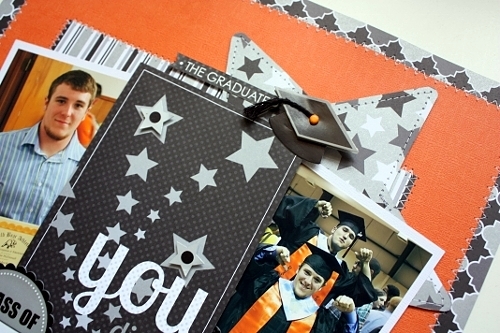 with your own school's colors by adding colored cardstock, buttons, brads and twine! center of my layout. 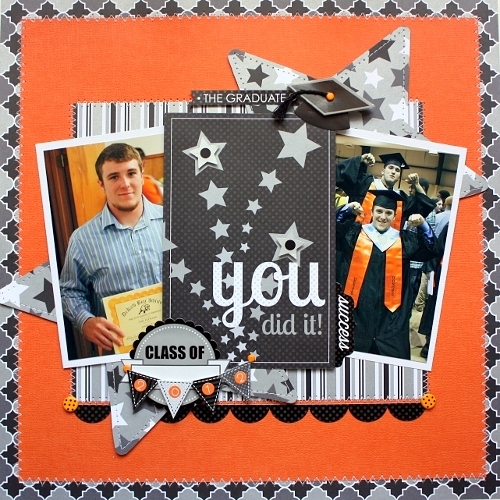 I added some dimension by layering the small star stickers on with foam dots. 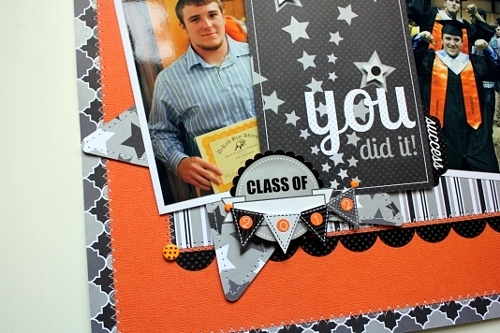 with a Tangerine Mini Brad so that it would blend in with my page. the photos...I love how they look like a continuation of the Simply Put card!